What people are saying about Lee Holden's Qi Gong programs! "This was the best $19.95 I have spent in my entire life." "This program is simple and very effective. It works." "I saw this on PBS, and I was impressed. I have tried tai chi before, but I have trouble remembering the movements, and I have walked out of tai chi classes feeling frustrated. When I saw Lee, I felt "I can do this!" The program felt so sensible to me; I thought, "This is something I can really do." I'm 67 and that's important to me. You want to feel successful in what you're trying." "THANK YOU soo much, I received the tapes today and have already exercised with Lee Holden. What a great tape, soo very calming; I feel great after only one time. This is my once a day treat from now on to do Qi Gong with Lee; he is wonderful." "This is a great introduction for people who have never done meditation and think they can't meditate. After doing the tape, people realize that their minds can slow down, and once you can slow down, you realize you can meditate." "My 2-year-son and I woke up in a fog, not feeling great, then we found this on PBS and did it together. We did some deep breathing, the movements were fun for my son, and we felt great. The program changed our whole day in a positive way. What could have possibly started out as a bad day ended up being a great day!" "I studied Chinese and kung fu for years, and used to practice tai chi, but I had trouble remembering the entire tai chi routine. I enjoy the qi gong because it involves one movement at a time, and I can really concentrate on that." "Thanks Lee, for such a great Mind/Body workout. Qi Gong Flow is awesome." "Qi Gong Flow is pure gold. This is nourishment for the soul." "It's the most do-able and relaxing thing that I've seen in a long time. You don't have to turn yourself into a pretzel or anything, and it doesn't seem like exercise. It feels good for your body." "I saw eighty-year old people doing this in China, and I wondered what they were doing. When I saw it on PBS, I realized that's what the old people in China were doing. I worked 12-hour-days all week, and when I got up this morning, I felt exhausted. I turned on the TV, and I found the program. It was very soothing. Lee's voice is very inviting and calm. I love the way that he tells you why you're doing an exercise; that gives you an incentive to do it. He kept me there for 20 mins. By the time I did that, I was ready to go. It was amazing. I could hardly move when I put the TV on, and now I've been out all morning. It works! If I did this every morning I'd be doing great." "Qigong is the best! I just did Lee's DVD, QiGong for Healthy Joints & Bones. I love it - I did Lee's visualization at the end and I felt a tingling through my body. I know that this will help me because qigong is the synthesis of body, mind and spirit, and bringing ourselves into alignment is healing." "I am finding joy and freedom daily as I begin each day with one of Lee's dvd's. My suffering from the stiffness of arthritis is diminishing and the energy I feel from within is amazing. Thank you for bringing this practice to everyone who has the wisdom to access it." I just had to say thank you for the Qi Gong routines you have put together for your customers to use to benefit specific health problems. Recently I suffered what seemed like a misalignment in my upper back which was very stiff in the morning when I got up and would be quite painful every time I sneezed or coughed. I saw my chiropractor right away, hoping that one or two appointments with him would bring relief of the problem, but no such luck. When I awoke after the first appointment and found I was in as much discomfort as before I saw him, I pulled out your DVD for upper back and neck pain and found that the stretching and movement of the Qi Gong routines on that DVD would at least loosen things up for the day. I saw the chiropractor several times over the next few weeks but still no relief. But I continued to use your DVD every morning during that ordeal and knew I would be able to move throughout the day. Eventually, I quit going to the chiropractor since I was not getting any results, but continued to do the upper back and neck pain routines, again, so thankful that I could at least get things loosened up for the day. In about 3 to 4 weeks, I realized that I was no longer suffering. Since then I make sure that the upper back and neck pain DVD is part my Qi Gong routines, doing them at least a couple of times a week to help keep things limber, rarely missing any of my morning workouts with Qi Gong. "The Upper Back DVD is perfect for me. I feel great, relaxed and open." "My wife and I use your Upper Back and Neck program every evening. We love it. Not only do we feel better in our bodies, but we feel better with each other." "Lee's DVD is a 'must-have' for anyone that has excess tension in their back and neck. All I can say is give it a try. You will be very pleased." I have been using Lee's DVD pretty regularly, about 2-3 times a week since I received it last January. I really enjoyed the increased flexibility and the relaxed way I felt after the sessions. I recently pinched a nerve in my neck. The pain was terrible and it radiated into my left forearm and 2 of my finger tips were numb. After checking it out with my doctor and having ex-rays to see the extent of the injury, I began slowly using Lee's Neck and Upper Back DVD and Low Back Pain. I can tell you that at first it was pretty slow going and I couldn't believe how little flexibility I had. I followed the DVD each morning and after I got home from work. I could only tolerate the standing exercises. After each session, I felt a bit better, a little looser and a little less pain. I also went to see a physiotherapist. He could not get over the recovery that I was experiencing. It wasn't long before my flexibility returned and my pain subsided. It has been four weeks since my injury and I am virtually pain free. I have a slight bit of numbness remaining in the tip of my index finger. I continue to follow the DVDs each day. "I think that these are exceptional DVDs and that this man has a gift for teaching. Like others mentioned on your "testimonials" page, I have tried tai chi and given up because it was too complicated and time-consuming. I feel that the way Lee teaches Qi Gong is practical, not complicated, and not time-consuming. I have been doing the 'Qi Gong for Upper Back and NeckPain' DVD for 4 months or so, and I got pain relief within 2-3 days. I faithfully do that DVD a couple of times a week. The pain is gone; it's amazing! I've also appreciated the very high production values on the DVD; the photography, the production, and the way they've set everything up is very high quality. Lee has a gift to take something very complicated and to make it very simple and direct without losing the essence of it. Lee has a great gift for healing." I purchased your "Qi Gong" DVDs with a donation to WGBH-TV in Boston a couple of years ago. I have not had the time/discipline to use them until recently and I have to tell you that your DVDs have been a huge help to me this past few months. I wish I had started them much sooner. After a lung surgery 3 years ago, I have been in pain almost daily from deteriorating disks in my neck as well feeling off centered because, of course, the body doesn't really close back up to it's original state after such a surgery. I feel more like myself again than I have for quite a while. As long as I keep up, my neck is pain free most of the time, I stand taller at 5'3" from 5'2.5" (bone density test) and cliché as it may sound, have an overall greater sense of well being. The meditational aspects are helping me to re-attain my spiritual center as well. Just thought you would like to know the positive impact Qi Gong has had on my life. I am feeling stronger, am able to work harder & remain more focused every day. I've been a subscriber to the Bottom Line for several years and know that their articles are by the "Best of the Best" --- so it was no surprise when I saw the article on Qi Gong and found that it was by Lee.You may remember that last August I purchased the 4 DVD's after seeing Lee on PBS. I was amazed at how relaxed I felt the very first time I did the Qi Gong Flow for Beginners. For three years I had been suffering with severe pain from rotator cuff surgery and had been in therapy on three different occasions. I took the DVD for Upper Back and Neck Pain to my therapist for her to review. She said it was wonderful and that it covered all the muscles and joints she had been working with. She encouraged me to start doing the exercises in the DVD. I have been pain free for the last 5 months. What a great feeling. I owe it to a special therapist and to Lee Holden and his wonderful DVD's. I love doing Qi Gong. It's easy and you get immediate results. I'm just sorry it didn't come into my life sooner. But with the help of Qi Gong I plan on living a very long life. P. S. I'll be 77 next week and feel life 50. "I was incapacitated - my doctor told me I needed a new knee and five new vertebrae in my spine. I hadn't driven since September and could no longer even get to physical therapy. I saw your DVDs on PBS and thought, 'maybe this will work for me!' Well, I have to say I am now your best commercial; I have the best story and I tell everyone I know. My doctor couldn't believe it when I told her I drove myself to my last appointment. I am ordering the four pack again to share with my family." "I just wanted to thank you for the back movements. My back feels great! It is one of the times in my life when I feel like I have "come home" -- if you know what I mean. Thanks for sharing your skill and patience with us. What a gift for us all." "Qi Gong for Low Back Pain is excellent and -- for someone who has had chronic [low] back pain for almost 20 years -- just what I needed. I've never felt better." "I received the DVD's yesterday. I could not say enough about how wonderful they are. 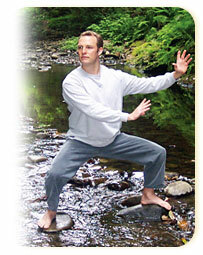 I opened only the first one - QiGong for Low Back Pain, and I stayed home today all day to watch and practice it. Not only did I feel so great after a few exercises, but I also feel calm and focused. My wife thought that I am on a new medication, and it makes me feel good. I will talk to my friends and people I know who are suffering chronic back pain or stress to order your DVD. Once again, thank you so much for making this DVD. You have a good one." "I received the Lower Back DVD you sent a couple days ago and wanted to thank you again. It's another great DVD and, like the others, is going to be very helpful practice for me. I have had a rough year with some chronic health issues and find this to be a very effective and enjoyable way of both exercising and relaxing, physically and mentally. Lee has such a motivating yet gentle and tranquil spirit. I agree that he has a gift. How fortunate for so many that he has chosen to share this gift! Please extend my gratitude to him!" The DVD Qi Gong: The Flow Continues, with Lee Holden, has been a valuable tool for the beginner Qi Gong student. Both my husband and myself have been Qi Gong Instructors for 8 years, and we have viewed many DVDs to recommend to our beginning students. We have found this DVD to be the most easy and informative. Lee Holden explains the forms with a very soft and easy manner to follow. I have purchased many of his DVDs for gifts for family members to begin their journey for healing. I purchased Qi Gong: The Flow Continues for my uncle who is turning 97 this year, to help him with his balance. "Thanks for your dvd (Qi gong, the flow continues). Extremely easy to follow, and incredibly easy to feel the energy flow and sensation of qi as you described. As a physician and martial artist, I am truly happy to have my hands on an easy to follow program that makes the understanding and experiencing of qi so accessible. I've caught intermittent glimpses of it, but now I have a way to access this power daily and increase it's presence in my life, and in my practice. Thank you so much." "I just participated with your Qi Gong: The Flow Continues DVD when it was shown on KVIE, and am writing to thank you. Ever since a dental surgery years ago, the left side of my body has been low on energy and I haven't been able to get energy flowing normally into my left jaw, despite my efforts to correct it. Very quickly after joining in your movements my left side was tingling with energy, and it tingled for the rest of the session. More amazing, the energy was flowing fully and pleasurably into my left jaw. It is the first thing that has done this! Also, I'd had an exceedingly unpleasant and discouraging day, and this managed to improve my outlook. I am recommending your DVD to a friend who is recovering from a stroke and has some residual problem with her left side. You are a gifted teacher. Thank you for making this so easy, pleasurable, beautiful and available." I have ordered several tapes from you and have been impressed every time with your professional handling of my order. Then I get Lee's tapes, put them on and enjoy so much his presentation and exercises. I am a 60 year old woman who has changed her life through qigong. I had an almost completely frozen shoulder and a lot of stress with my job; I can honestly say that daily qigong exercise with Lee and other Masters have healed my shoulder; I have almost total shoulder freedom and the pain has disappeared. I live in NJ and would LOVE for Lee to give a workshop here. My hope is that I can one day become certified so that I can help other people of my generation to regain flexibility and relieve stress. I have a lot to thank Lee for. While watching TV, I watched Lee Holden discussing Qi Gong. Having my doubts I went to You Tube and watched a short video on Qi Gong stress relief. I practiced some of the exercises and felt a change in my stress level. I purchased the DVD and practiced Qi Gong every day. In one month I've reduced my Xanax use to almost zero. I have finally found a way to reduce stress without drugs. I plan on purchasing some of the other DVD's soon. The 'Qi Gong for Stress' workout is just what I need at the end of the day. It works for me." "I have a very stressful job teaching 150 students at an Australian university. But after just two weeks of doing qi gong, I was stunned to discover my blood pressure (systolic) had gone down 40 points and my diastolic pressure was down 20 points. "I received the Lee Holden Super Pack and I am really enjoying the [various] workouts. I am actually feeling the benefits of these exercises in a very short time and my posture is straighter and I feel more aligned. The combination of qigong with various yoga poses is very effective and it has significantly released the tension and tightness in my back. His explanations during the exercises really increase my understanding and insight into the benefits of the movements and help to keep me on track and focused on the practice. But just viewing the beautiful settings along with Lee's calming voice puts me into a whole different space and is incredibly relaxing and stress reducing, even without doing one exercise. I cannot begin to describe the benefits I feel after doing the morning practice. The benefits last throughout the day. I am calmer, more focused have increased concentration, I am less anxious and much better equipped to handle a very stressful day." I have a niece in California who has a very debilitating, chronic illness. She has been very depressed as a result of the way this illness has changed her life. I believe she too would find practicing with Lee a wonderful way of strengthening and restoring her weakened body and troubled spirit. I will be placing an order to have the bundle of DVDs sent to her as well. I know they will lift her spirit!!! The beauty of it is that she will be able to experience the benefits of Qi Gong at whatever pace is most comfortable for her, without being overwhelmed by trying to do something her body is not able to do at this time." I'm sure you get so many testimonials that I hesitated to write this. But I feel so much gratitude that I need, for my own sake, to let you know. I'm sure you know that each individual you help heal is an infinite universe unto him/herself, and then again we each touch so many other lives, that the effects of your work and teaching ripple and ripple outwards. The healing impact of your work is incalculable. I have had severe chronic illness for decades, often completely disabling for long periods of time, often with unremitting pain and discomfort. As a determined, disciplined, committed and creative person, I have tried countless healing modalities, both conventional and "alternative." A few have helped. None has helped in the way or to the degree--or with the speed!--that your Qi Gong dvd series has. This includes yoga, which I have practiced for thirty years. I have tried a few other Qi Gong/Tai Chi programs and teachers. None has resonated or helped in the way that you and yours are doing. Your dvd series is changing my life. I am thrilled to have found such a wonderful, direct, and effective teacher, which is what I consider you to be, my teacher. I cannot believe the depth and extent of the improvements I'm experiencing in so short a time. Admittedly, I am practicing Qi Gong intensively, along with extensive meditations, totaling many hours each day. But it is far better than suffering in bed full-time, and I believe that, at least initially, that is what the severity of my symptoms calls for. In just a few weeks, I've seen tremendous changes in my digestive and immune function, energy level, and overall well-being, among other improvements. I am thrilled. I cannot wait to see what my health (and life!) is like in 6 months, a year, two years, five....! I am working with several of your programs. Qi Gong for Seniors is my favorite. (I believe it's a bit of a misnomer, it seems to me to be an excellent overall introduction for EVERYONE.) I approach this particular dvd not as a discipline, but as . . . a TREAT! I feel so good as I'm doing it, and especially afterward, that it's completely self-motivating. Even when I'm not feeling all that well, I've been able to do much of it, and the healing impact is always significant. It's incredible that something so easy and so gentle can be so utterly powerful. I cannot thank you enough. Beyond your hearing, I thank you every day as I finish each session of my Qi Gong practice. I am deeply grateful. "I just wanted to say thank you. I started using Lee's DVD's about 6 weeks ago and already I feel more balanced, I'm sleeping better, I can reduce the levels of pain and discomfort in my body... I love this form of exercise! Qi Gong is the only form of exercise that I have found that does NOT increase migraine pain during the workout (physical activity usually increases the throbbing pain in my head,however Qi Gong does not). Not only does Qi Gong not increase my pain levels, I find that after completing a session I am in less pain because I have successfully stretched out the muscles in my neck and shoulders (which hold so much tension and stress due to the pain of the migraine) and I actually feel as though I have received the benefits of a massage. It's amazing!! Lee has given me the secret to giving myself a massage!! In addition, I have a lot of problems with my knees and the Qi Gong sessions have not caused any problems in this area either. This workout is so "low impact" that I can say it is really "no impact" when it comes to putting stress any of my joints. Furthermore, I am a complete beginner and new to this form of exercise. I have found Lee's DVDs very easy to follow and in very little time I was able to understand and do even the most complicated moves with his wonderful explanations of how to move and breath. Once again, I am so happy to have FINALLY found a form of exercise that works so incredibly well for me. If I had not seen Lee on PBS, I'd still be looking... and not nearly as happy as I am today. I hope you don't take this the wrong way, but I have started calling QiGong the "lazy man's" exercise. You don't have to love physical activity to love the way it feels to do these DVD's. You may even think that 'working out' is a chore you have to get through to stay healthy. Not so with Lee's DVD's. I love doing my sessions with Lee and in the past 6 weeks I've missed only 4 days. That's about it. I just wanted to share the love. Thanks again." "I hardly know where to begin. I first saw a Qi Gong movement from a health care professional, and was quite impressed. When I investigated, your site was really beautiful and informative. I ordered the Flow for Beginners, and watched with a friend. We were both so impressed that she had me order one for her immediately. She received hers just two days later, and we were thrilled. I put mine into practice the next morning, being very careful, as I have degenerative discs and bone spurs in both my cervical and lumbar spine, and arthritis in both. The movements felt good, really good, and relaxing, so I just incorporate them every day. They have loosened the spine greatly, which even Physical Therapy was not able to do. The results are amazing. My body and mind flow now, and I have a deep seated sense of mental and emotional peace. I wake up each morning early, on purpose, so that I am SURE to be able to do my Qi Gong before the day begins, in the quiet early hours that I love so much. Seeing Lee's clear eyes and hearing his gentle voice with the flowing water and trees soothes me right from the start. I just close my eyes now and go with him as he guides me through each of the exercises. I have been practicing for just a little over two weeks now, every single day, because if I miss a day, I don't feel as good. There have been some unexpected results with my back. My doctor has referred me to a specialist whom I will see on the 18th for evaluation of the spine and what treatments to use, due to the pain and stiffness of my back. I have been using Lidocaine patches to numb the area. However, with the Qi Gong, my back has not been hurting nearly so much, and I move much more easily. I will, of course, go to the specialist, but I will tell him of the Qi Gong and see what he says. I would like to be able to use it as a first-line option in my therapy. Perhaps other treatments will be needed down the road, but the flexibility and fluidity and relaxation I feel right now are a wonder to me. I would much rather use this than cortisone shots, nerve blocks, etc! I am still having a good deal of trouble with the cervical spine which causes muscle pain and tension, and headaches which can progress into migraines, so my goal is to wait until my monthly check comes in and order the DVD for the cervical spine. I am very excited about seeing what results it will bring. So, as you can see, Qi Gong has given me mental and emotional relaxation, fluidity in my movements, balance and being grounded, and REAL pain relief in my back. I am 54, soon 55, and for this I am grateful. I am telling everyone I know about it, and showing them my DVD, so hopefully you will be getting some more orders! I just wish I had ordered all four! You are free to publish all or part of this testimonal to your website. I hope it will encourage others to try this beautiful program. It WORKS!!" "I wanted to join Lee there in the forest. I'm a big gardener and I have a beautiful rock garden and water; I loved the setting. I have a lot of health problems, and I just had a change in medications that was causing me trouble sleeping. So I was awake at 5 am, and I was so glad to find Lee's program on my local PBS affiliate. The show appealed to me, helped me sleep, and made quite an impression on me. I'm so anxious to get my DVD's." "I need to share this with you, because I believe that a person with a chronic ailment would benefit from Qi Gong and improve their quality of life without having to resort to standard medications. Approximately 20 years ago I was diagnosed with relapsing-remitting Multiple Sclerosis. Although I have been very fortunate to have extremely mild symptoms that thus far haven't been disabling, I do notice a huge difference with my energy level and a feeling of fatigue periodically. I have been offered prescription medication to help with the fatigue, but have always declined it because I don't like taking medications. After a particularly busy work week, I was at home a couple of Sundays ago, procrastinating on some of the things I needed to get done that day, as I was just too tired and consequently unmotivated to even begin any tasks for the day. I was absently flipping though the channels when I came to a PBS channel featuring Lee Holden who talking about the benefits of Qi Gong. It sounded very interesting so I continued to watch and follow along with his "beginner" exercises (which were extremely easy to do). His presentation was very informative and soothing. Almost instantly (following the exercise), I noticed a remarkable difference in my energy level and was able to immediately begin my tasks for the day. Needless to say, I picked up the phone to place my order and was further delighted by the helpfulness I received. You were able to answer all questions, leaving me very satisfied with my decision to purchase. I will be anxious to receive the tapes and get started with the qi gong program and will be happy to share, what I anticipate to be, successes with you." "In 2008 I was diagnosed as a "chronic" pain patient. With a bone spur growing on my C7 vertebra flattening the left side of my spinal cord, I was told that even after a surgery to fuse several cervical vertebrae I would likely have to rely on very strong medications for the rest of my life. Through my acupuncturist I learned of Qigong, and my research led me to ExerciseToHeal.com where I purchased Qigong Flow For Beginners. While my expectation was that it would serve as an introduction to Qigong and stand in the gap until I could find a personal instructor, my expectations were far exceeded. As I followed along I learned a new way to relax both my body and my mind, and where all of my specialists and determination to overcome my condition had failed, I now found that may pain just began to slip away. After only 2 weeks I was able to return to work, and within 2months I was off all of my pain medications! I was able to avoid the surgery, and today I live pain free and am more active than at any point in my life since my youth. I owe the beginning of my transformation to Lee Holden's DVDs!" "Lee is incredible! I suffer daily from migraines, and doing his regimens daily has helped my anxiety a lot"
Lee's Qi Gong DVD's are the perfect tool to help refocus and energise the mind, body and spirit. I found them to be a wonderful aid in connecting me to my body's natural rhythms and to relax, especially in such a fast-paced world...he's cute too! I want to go to Lake Tahoe and get myself a dining room table and stand on the water with it too! I've seen [Qi Gong for Seniors] so many times I can see the trout who goes by the plank. I tell everyone I see about it. People I haven't seen in a long time say God, Bob, you are looking great, and I tell them it's because of the qi gong. "I think everyone should experience the benefits of Qi Gong. I usually go to a holistic therapist for reiki energy treatments once a month, and I was told qi gong will help keep my energy levels balanced better between sessions. I run a creative services/graphic design company called tangydesign, here in Colorado Springs, CO. I'm at my desk most of the day, so I know how important it is to keep your energy cycles flowing properly, and this system works very well for me. So once again, let me thank you for the great presentation." I don't think I have ever felt so compelled to say "Thank You!!!" for a DVD¦I had ordered the "Get It All" QiGong Pack and I received it a couple of days ago. I started with "For Weight Loss" and watched the entire thing. I was so wrapped up in it before leaving for work, I didn't even realize how much time had passed. I also realized, as I was watching the "behind the scenes" footage, that I had a big smile on my face and my heart felt so light and joyful. The energy, camraderie and fellowship that your team exuded was so refreshing!!! The location you picked absolutely wonderful! Although I know you worked long hours on your project, it seemed like a group of really good friends got together to shoot it. The mutual respect and admiration were evident, as was the sense of humor that you all shared. I had seen a clip of Lee Holden on PBS I knew then that I wanted to purchase his DVDs. I had already purchased another type of QiGong program years ago; however, it didn't resonate with me and sat in a bureau drawer basically unused. Lee's instruction style, poise and energy resonated with me so much that I felt led to purchase the DVDs. Innately, I always knew that I would return to it but needed to find the right teacher. Isn't timing wonderful?! "My husband and I were shown this DVD by a friend, who is in her 80's, with cancer and related illness, and finds the exercises very beneficial. Since my husband, at 89 years old, is in a wheelchair himself, I am ordering this DVD partially for him. We look forward to receiving the program and to getting started." "We just happened to see this on television, and we thought Lee was the cat's meow. He's a sweetheart. He makes you feel really positive. My husband has a problem with his rotator cuff, and the exercises didn't seem to bother him. Also I have an artificial knee. It's never too late to start this - believe me! Never, never, never!" "I am writing to thank you for offering the DVD Qi Gong for Beginners. I have been interested in Qi Gong for several years, however, due to a disability that limits my standing, thought I would not be able to do the routines. I saw you on KVIE, and participated in the exercises while sitting. I readily felt the flow of energy - all the way down to the soles of my feet, even though I was sitting down. The palms of my hands, my knees, and the soles of my feet heated up straight away. As a Reiki Master, I understood that the energy was flowing freely. I am very happy and pleased to have "tuned in" when I did. Many thanks for being." "My friend Olympia is an amazing person. She does Qigong almost every day, and manages to avoid being in a wheelchair by sheer will, I think. She...sits in a chair to do Qigong... It will be so great for her to do the modified exercises you show in QiGong for Seniors... What a wonderful thing to offer people like Olympia! Please pass along my thanks to them for doing this." "Hi there - your DVD has arrived safely in UK and it works on my home DVD player connected to my TV!! So pleased about that, and what an excellent workout for older people like myself who sometimes have joint problems..... thank you so much. It is something I can actually do unlike many other exercise programmes,and as a Reiki master, it also fits in very well with that! I also have fibromyalgia and I will recommend your DVD in my online group. " "Just wanted to say how much these routines have changed my life from hardly any movement to being able to turn and look while driving and to gain strength in my legs. All my friends with fibromyalgia and osteoarthritis I have recommended Lee's DVDs. While I am only 59, it will be part of my routine always. I tell people I do not take medicines anymore and just do these exercises. There are times when it hurts me but I think that is because I might be working too hard rather than just letting it happen, but the strength in my legs is remarkable and the way I can turn my neck and head. I do my exercises in the morning and it makes the rest of the day enjoyable, and the benefit is that it stays with you for several days if you miss doing the routines. My favorite is the new meditation dvd with the nice extended exercises like katas. I use to live in California and we moved to Oklahoma in 2004. I was having terrible pain and my CA friend told me she was getting great benefit from Healthy Joints and Bones which I bought along with Qi Gong For Seniors. From there I got 5 more and then this latest dvd and I switch them around so I do not get bored. Lee Holden has totally saved my life!" "I am a 50 year old woman and a recovering alcoholic, who was suffering for Nurophathy from my head to my toes because of the abuse. I could not move without pain. Just getting out of bed was painful, not to mention walking, bending over, just moving hurt. I had been sober 5 months and received the Qi Gong DVDs, 7 Minutes of Magic & Qi Gong Flow for Beginners for Christmas & started doing them in February 2011. It is now March 4th, 2011 and I want MORE! Just bought the Weight Loss DVD and am looking forward to that. I can feel my health returning everyday & if I miss a day, which is rare, I can tell!!! "I have serious neuropathy from cancer treatment which has made it difficult to type. I am a writer ("Writing as a Way of Healing," among others) and so this loss was difficult. I have been doing a number of the tapes in rotation for about a month now and have learned that if I go to my desk just after a session, I can type with a minimum number of errors! This has made it possible for me to continue writing a book I'd abandoned. I had previously tried any number of things that didn't work. Thank you for your good work in the world." "My patients are loving these exercises -- a great reference for home stretching." "I encourage almost all my patients to use these DVD's. Everyone needs a little stress reduction and positive energy in their lives." "This traditional physician was blown away by the success of something I can't quite understand. I am very pleased! My body feels great. I can't recommend Lee more highly." "Lee's DVD's are a valuable adjunct to my treatments, a great reference for home exercise. Highly recommended." "Finally, a well-produced effective exercise program for my clients to use at home." "A great complement to physical therapy. This program is a great way to increase range of motion, get blood flowing, and promote flexibility." "My students loved the DVD's and I will need to order a few more ASAP... Also the meditation CD's...I have watched them on my computer and love them as well...Thank you sooo soo much." "I have practiced Qi Gong Flow every day for the last 90 days. I love it. I just pop in the DVD and go. The visuals are beautiful, the audio is mesmerizing, the performance of the maneuvers easy. My observed benefits include: increased strength and definition of the muscles of my legs, torso and arms. I am calmer in mind, observing my breath during activity; keeping it deep, slow and rhythmic. My surfing is enhanced because my feet are better rooted to the board, my balance is more stable, and I flow effortlessly with the power of the wave. Practicing Qi Gong daily has helped me to meld my physical and spiritual selves." "It has been my privilege to practice Qigong regularly for many years. I am the youngest of our small group, with 2 members well into their 90's. We all highly recommend Lee Holden's "Qi Gong Flow for Beginners" DVD. Young people would also like it. The exercises are inspiring. We like the simplified presentation. The form moves at a nice pace and allows us to keep up. Seniors like that it can be done seated. Personally, I love the setting: the flow of water and the mossy scenery. After viewing the CD we all feel calmer and more energized." Just a quick thanks for the wonderful DVD's. I play in a band and the exercises have helped me be more in the music. My playing has come on tenfold. One out of three adults age 65 and older falls each year, less than half talk to their healthcare providers about it. In 2010, the direct medical cost of falls, adjusted for inflation, was $30.0 billion. We looked for interventions which would keep the highest at-risk resident from suffering from falls and the fear of falling. One of the most effective prevention for falls was Lee Holden’s Qi Gong. The DVD was part of a pilot for 20 skilled nursing facilities fall prevention program. The DVD was used with residents who were at risk for falling, those with a history of falls and those who suffered MCI. The DVD was used three times a week as part of the Activity Director’s exercise program. Fall reduction was significant. The yearlong study had such an impact on the fall rate over the previous year that the DVD was purchased for all the facilities in the division and implemented as part of their exercise program three times weekly. A focus on Wellness is vital for all of us who want to prevent injury or death as a result of falls. Together with healthy eating, restful sleep and balance/mobility interventions falls do not have to be part of our future as we age." "I was in the hospital recuperating from a hip replacement surgery, and I saw Lee Holden on our education channel doing Qi Gong for Seniors. Lying in bed, I followed his arm movements - and I was hooked. They felt so good! When I came home, I ordered the DVD and began the program sitting in a chair. That was in November. I have graduated myself to doing the routines standing (for the most part) before breakfast every morning - the best way to awaken my body. PS. I celebrated my 80th birthday this past June." "I like everything about [Qi Gong for Seniors] the way they filmed it, all the commentaries, all the information about how they made it, the exercises, everything. I think I've memorized everything, including the music. I went to Belize and we went out on an atoll in the Caribbean, where there's no electricity, and so I found myself doing the Qi Gong and "reaching for the heavens" from memory out in the beauty of nature. It made me realize how neat the whole routine! It teaches you balance and coordination, and it puts you in a place where you move more easily, you don't hurt yourself, you're not in a hurry or anxious, and you flow with your movements, so you are less likely to hurt yourself. The whole balance thing is so important - people don't realize how important that is!" "I had been looking for a good Qi Gong instructional DVD for some time. The ones I had tried were all focused on the mystical, with flying stars and rapidly changing backdrops, ranging from the Great Wall of China to temples. Qi Gong is not about wearing Chinese uniforms or 'House of The Flying Daggers'-style scenes; it is about our inner world." "Lee's simple sessions with tranquil surroundings combined with clear instructions make them the best DVDs on the market. I have used the 7 Minutes of Magic DVD for about two weeks and have already felt the results in such a short time. As a result, I have just ordered more. I can't wait!" "WOW!!! I am blown away by your latest DVD, Seven Minutes of Magic. Wonderful quick routines when I am busy and such AMAZING production value. Great sets and I love the trailer and seeing everyone including Lisa and your Mom. "I really enjoy and practice the 7 Minutes Magic AM Routine which helps me relax/release stresses. I [also] believe the two back pain DVDs will help me to minimize my back pain over time." "The new DVD is WONDERFUL! I love the format of the DVD, having both extended and 7 minute workouts for AM and PM and 7 minutes for health. Lee's talk on Qigong is very informative, and I think will be very helpful for people unfamiliar with Qigong. I look forward to the upcoming releases. [The workouts are] never boring, and I look forward to the time I spend doing it. Thanks to you all for the planning and hard work that went into these productions." "I recently purchased your book and DVD "7 Minutes of Magic" and I wanted to take a moment to let you know how much I am benefiting from them. I am very pleased with everything on your video and I consider it a gem filled secret. I have been sharing it with friends and family over the last few days. Firstly, your overall production values are extremely high and are very welcome. They make exercising to "7 Minutes of Magic" twice a day a real pleasure. Your narration easily and clearly guides me through each exercise. Your voice is calm and peaceful without being affected or annoying. The timing of your comments about breathing and what to focus on is spot on. I prefer exercise videos where the instructions are given by voice-overs instead of from the instructor on the screen. In my opinion, this type of video gives the instructor the freedom to completely focus on form and spirit. This sense of your total focus and of being in the spirit is very evident in your video. I rate your selection of exercises and the flow between them 100%. Also, one of the convincing reasons for purchasing this video was the attractive idea of short, targeted sessions. And what a brilliant idea to include extended sessions! I use them on the days when time permits to take my practice to a deeper level. The setting is spectacular and adds so much to each session. The calm, peaceful and serene lake-side setting makes me feel like I am on vacation without a care in the world. The music is very enjoyable and contributes to the sense of peace and expansion. After a few weeks of doing the exercises on a daily basis, I can say I feel more strength and flexibility. I also feel a deepening sense of calm and peace with each passing day. I find that the practice of the "7 Minutes of Magic" exercises supports my own spiritual practice. Congratulations on a job well done and many thanks for an excellent product!" "Wow! Lee sure packs a lot into 7 minutes! If you don't think you can get much benefit out of such a short workout, think again. I tried the PM routine last night before I went to bed and had a great night's sleep. Love that little bit of self-reflexology he works into the practice. Keep up the great work." "My 5 year old son] was playing with grandma when I decided to put 7 Minutes of Magic on, since I wanted [her] to be aware of alternative exercise after her recent knee surgery. Surprisingly, my son pushed the coloring book aside and yelled "MOMMY GET MY YOGA MAT OUT I WANT TO DO THIS!!.." He and I continued to do the whole routine..."
"We received the package of your book and DVD yesterday and started the day this morning with your introduction and extended AM workout. For me, it is a fantastic quick blend of some strength and stretching to kick-start the day. It is great to know that you have that under your belt in case the day pans out in a way that doesn't get you any other exercise. And you really do feel energised after it. At this early juncture we are really impressed with it and can see real benefits in a very practical way in our busy days. " "It is so beautiful that it resonates with my being. You can feel Lee's passion and appreciate his attention to detail. This is a piece of art." "The first time I heard of Qi Gong was from my niece, newly arrived from China to study for her PhD. For a year or so, I had been diagnosed with bursitis of the right hip, needed a cane and could only climb steps lifting the left leg and dragging the right foot up. I had a few months of physical therapy, and I tried biofeedback, self hypnosis, subliminal tapes, limited yoga and medication, all to no avail. After using the Lee Holden Qi Gong DVDs for several days, the energy I felt was astounding. And no pain. A few weeks later, I found myself at the top of the stairs. How had I gotten there without pain, without struggling, without the tendency to scream? !...I returned to my drawing classes where I had been absent for the year due to the bursitiis. Everyone wanted to know the details. One artist had been in severe back pain from arthritis, going to the gym three times a week and taking physical therapy. He begged to borrow my materials. Within two weeks, he came to class all smiles and swinging his arms like a windmill. Out of curiosity, I rented [other] Qi Gong DVDs and could not believe how dreadful some of these could be. To say thank you seems such a small token of gratitude. I think of Lee Holden in almost genius terms. " I do A LOT of exercise DVDs and this one is hands down the best I have ever seen. It is beautiful and robust and you should be SO proud. I also thoroughly enjoyed the interview section with Lee. Who would have thought an exercise video could have so many great extras? His insights on weight loss and how people stagnate their energy with stress were particularly helpful for me in thinking not only about getting thin, but being healthy. I think this is a formula a person can really stick to and that really works! At the risk of repeating myself... I am writing to compliment Lee again on the Qigong for Beginners and the CD on Meditations for Health and Healing. I'm impressed at Lee's ability to make it simple and [as] understandable as possible. Then last evening not being able to fall asleep, I put the CD in and was greatly aided by the imagery and words. So.... Congratulations for a good and helpful tool on both counts. "Lee speaks from a very peaceful center, and it becomes 'diffused' to the observer. The peace is readily captured as Lee generously shares it. He almost seems like a priest, celebrating a mass of creation, again sharing with the observer a profound sense of the holy. This is an exquisitely contemplative experience. I highly recommend this program to anyone offering programs in retreat houses, and I particularly hope it will be discovered by religious sisters. We ordinarily do not frequent gyms, and this exercise, while being physically healing and accessible in form for the elderly women, easily becomes a form of prayer, holistic body prayer. I live in a hermitage in a meadow, looking up to a small mountain, and this video completes the picture of God's munificent beauty in creation. Thank you Lee, for sharing the gift God has seeded within you." "It really works! Generates a sense of well-being and balance." "We have incorporated most or all of the [7 Minutes of Magic] routine into some part of our daily routine. Great stuff! Our strength coach has similar philosophies and it is all mixing in really well. I definitely feel the positive effects. Continued good luck with the products and your work." "I would recommend Tai Chi to any athlete. Not only is it a great way to develop body awareness, balance, and focus - the fluid, rhythmic, and centering qualities of Tai Chi can translate into better overall performance. I am truly grateful to Lee Holden for introducing me to this wonderful and rewarding discipline." "Thanks for the health, Lee. In my profession, I can use all the energy and pain-reducing methods possible. These work great." "Thanks for the excellent online service. It gives me good vibes already!" "I've been interested in qigong for quite a while now, but I always thought I'd have to find a personal instructor for it. I was interested when I saw Lee's program on PBS (I tried it out and it felt amazing, almost like electricity running through my fingertips). I can't wait to start. Dealing with you has probably been the best online shopping experience I've ever had...I guess small business owners are easier to deal with online too, eh? Thanks for your help and good attitude." "I ordered the DVDs last week, got them over the weekend, and started them yesterday. Production quality is excellent, the surroundings are beautiful, and Lee is really terrific. Just wanted to thank you for them, and for the quality of the products. Can't wait to master these and then get some more. Feel free to include my name, 'TV Producer,' 'Dallas, TX,' whatever you like. Everything I said is for public viewing since I think everyone should own these DVDs." "I now have worked out with all the DVDs. Amazing. What a complete workout. They are all excellent and just what I needed. Thanks." Other fans include medical doctors, herbalists, athletes, and sports professionals, as well as actors, writers, and directors. "I have been using your "Meditation for Health and Healing" CD for the past year in my Stress Management Class. This class is for both Cardiac and Pulmonary Rehab Patients and addresses risk factor reduction for patients with Heart/Pulmonary Disease. This program sees a varied demographic base, with many patients having never understood the need or taken the time for stress management. I am continuously amazed when I use this meditation CD in my class,as it seems to appeal to every single patient. It is one of several stress management techniques that I offer but it is without doubt the most popular and most requested. Thank you for making a meditation CD that is so practical and appeals to such a varied audience." "I listened to the CD - 'Meditation for Health & Healing.' Lovely!! I wanted to listen to it almost immediately [when it arrived]; I attached earphones, lay in bed to listen, woke up next morning and couldn't remember what I had heard. This afternoon, I tried again and made it through the entire CD without falling asleep - very relaxing. The waves in the background bring you back to follow your breath. Love it!!"